By Angie Drobnic Holan on Wednesday, July 20th, 2016 at 12:12 a.m.
It’s not everyday that you hear oblique charges of satanism against a presidential candidate. But that’s where Ben Carson went on the second night of the 2016 Republican National Convention. "Now, one of the things that I have learned about Hillary Clinton is that one of her heroes, her mentors was Saul Alinsky. And her senior thesis was about Saul Alinsky. 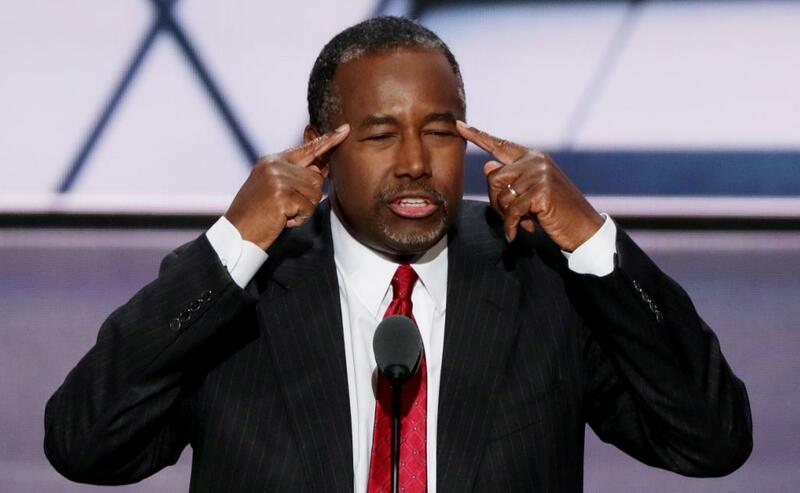 This was someone she greatly admired and let me tell you something about Saul Alinsky," Carson said. "He wrote a book called Rules for Radicals. It acknowledges Lucifer, the original radical who gained his own kingdom. Now think about that. This is our nation where our founding document, the Declaration of Independence talks about certain inalienable rights that come from our creator, a nation where our Pledge of Allegiance says we are ‘One nation under God.’ This is a nation where every coin in our pockets and every bill in our wallet says, ‘In God We Trust.’ So are we willing to elect someone as president who has as their role model somebody who acknowledges Lucifer? Think about that." We decided to think about that. Saul Alinsky was a Chicago-based community organizer who did write the 1971 book Rules for Radicals: A Practical Primer for Realistic Radicals. The book offers advice to activists seeking to influence public policy, covering topics such as class differences and tactics such as disrupting meetings and winning media attention. We found the full text of the book via the Internet Archive and found that Alinsky did indeed include an opening blurb on Lucifer, attributed to Alinsky himself. The epigraph is one of three; the other two quote Rabbi Hillel and Thomas Paine. "Lest we forget at least an over-the-shoulder acknowledgment to the very first radical: from all our legends, mythology, and history (and who is to know where mythology leaves off and history begins — or which is which), the first radical known to man who rebelled against the establishment and did it so effectively that he at least won his own kingdom — Lucifer. The rest of the book includes no real discussion of Lucifer or Satan, though it does talk about the way people demonize political opponents so that others see their opponents as "devils." The epigraph strikes us as more of a provocative literary comment rather than direct advocacy for satanism. Alinsky seems to be acknowledging Lucifer only in a figurative sense, rather than a religious or devotional sense. So is Alinsky a "role model" for Clinton? The most direct connection between Alinsky and Clinton is that she wrote her undergraduate thesis about Alinsky and interviewed him before he died. At the time, Clinton was Hillary Rodham and the student government president at Wellesley College. "Ms. Rodham endorsed Mr. Alinsky’s central critique of government antipoverty programs — that they tended to be too top-down and removed from the wishes of individuals. "But the student leader split with Mr. Alinsky over a central point. He vowed to ‘rub raw the sores of discontent’ and compel action through agitation. This, she believed, ran counter to the notion of change within the system." Clinton herself addressed her reactions to Alinsky in her 2003 memoir Living History. "Alinsky was a colorful and controversial figure who managed to offend almost everyone during his long career. His prescription for social change required grassroots organizing that taught people to help themselves by confronting government and corporations to obtain the resources and power to improve their lives. I agreed with some of Alinsky's ideas, particularly the value of empowering people to help themselves. But we had a fundamental disagreement. He believed you could change the system only from the outside. I didn't. Later, he offered me the chance to work with him when I graduated from college, and he was disappointed that I decided instead to go to law school. Alinsky said I would be wasting my time, but my decision was an expression of my belief that the system could be changed from within."